Lyrics and Official music video of Song 'Ki Kha Ke Jammi' featuring vocals of Jay Kahlon. Lyrics of the song are written by Jaani and Music is directed by Badshah. 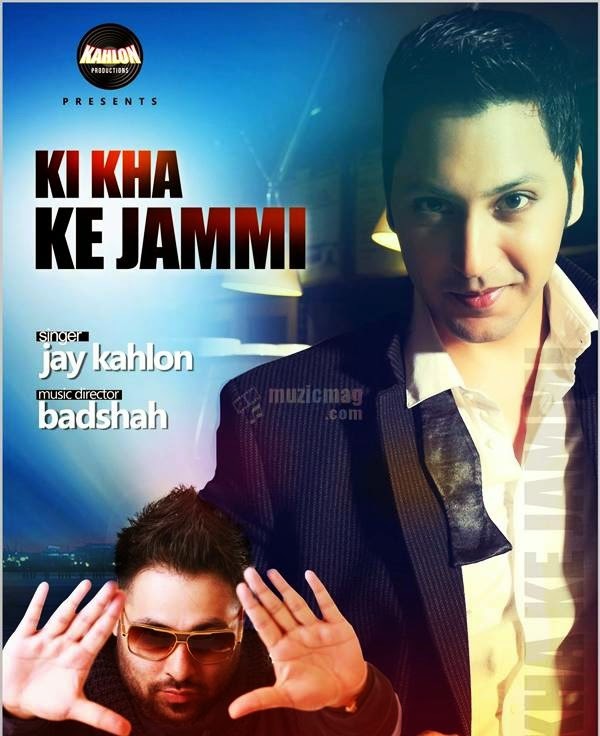 Jay Kahlon released his 3rd single track 'Ki Kha Ke Jammi' featuring music of Badshah. Lyrics of the song are written by Jaani. You can download 'Ki Kha Ke Jammi' from iTunes using link given below. Jay Kahlon debuted with song 'Sira' feat Badshah in may 2014 and recently released 'Rafta Rafta' which was criticized as a copy of 'Ring My Bells' by Enrique Iglesias. 'Ki Kha Ke Jammi' is a funny music video directed by Kahlon Productions featuring Jay Kahlon, Ajita and Badshah in lead. Ki Kha Ke Jammi Hain..